Lovely light, colors, and blend of selectively focused and OOF areas. I like it very much. great image. selective focus, and oof surroundings with interesting color together create an artistic image. Way out of my wheelhouse, but I think this is awesome! Light, bokeh, comp, color palette, everything. Well seen and executed! 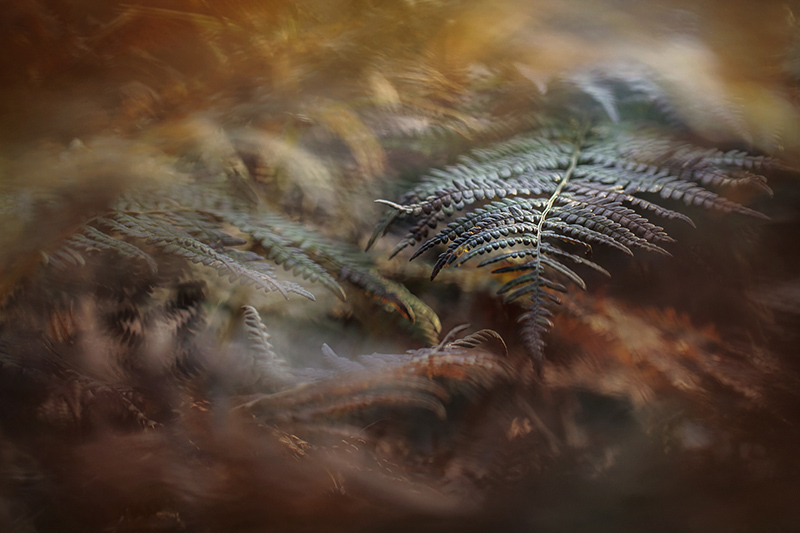 Beautifully done- verging on the abstract-love how you got the one fern in focus with very artistic, moody surrounds. Colors are especially pleasing. An appealingly arty take upon the subject - great stuff! Excellent use of shallow DOF, light, color, and out-of-focus elements for a very compelling and artistic image. Beautiful selective focus in this magical, mystical, fern abstract, Marek. Love it!